Choosing the right roof style for your new metal garage is among the most important decisions you will make in the buying process because you want the best roof for the climate in which you live. The structural integrity of each of our roof styles can be certified, but selecting the best roof to protect against the weather’s unique challenges in your area will go a long way toward effectively sheltering your belongings. We offer aesthetically pleasing options that will naturally complement the appearance of our metal garage buildings. Do-it-yourselfers may want a portable metal garage that they can install themselves, but others prefer letting our professionals install their steel garage kits. Our regular roof style is the most inexpensive style we offer. This quality roofing option provides a corrugated steel roof with ridges running horizontally from one end of the steel garage to the other (i.e. From the front of the garage to the back). This is an excellent choice for protecting your vehicles or valuables in particularly sunny areas that do not experience a lot of strong winds or heavy rains. Like our regular roof, the boxed eave style offers horizontally installed panels. 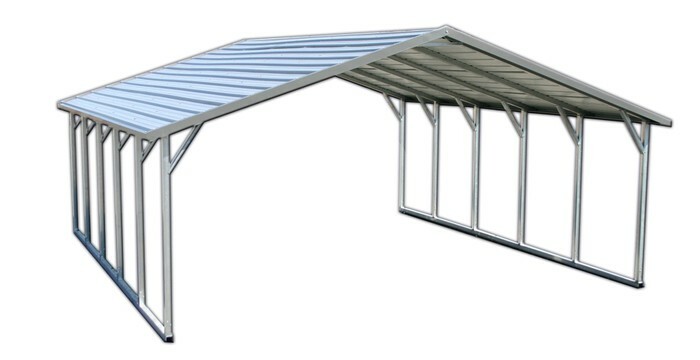 This is a more affordable option than our vertical style roof because this design does not require the hat-channel pieces that must be installed with a vertical roof. This A-frame designed roof is a good option for areas that experience heavier winds, but do not receive a lot of heavy rains or snowfalls. The vertical roof also incorporates an A-frame design, but unlike the boxed eave roof, the vertically installed panels feature corrugated ridges that run from the apex of the roof down to the side of the garage. This style is recommended if you live in an area where heavy precipitation is common because the vertical panels allow rainwater and snow to run off the sides easily. 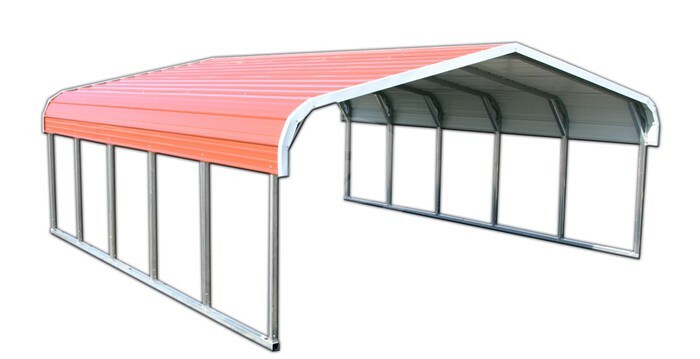 At Metal Garage Central, we recommend that all steel buildings longer than 36′ be equipped with a vertical roof style. Contact a Metal Garage Central customer service representative to learn more about our metal garage kits and prices. ORDER YOUR METAL GARAGE NOW! !